Delicious gluten-free bread, is that even possible? Thanks to Bread SRSLY founder Sadie Scheffer, it definitely is. Her story is even “SRSLY” sweet! She moved out to California from Boston and started learning how to bake bread to win over a boy. In 2009, when she learned that her crush went gluten-free, she began testing all sorts of recipes until the bread (and herself) were simply irresistible. By August 2011, she perfected her recipe and began selling her bread, delivering loaves around San Francisco on her bicycle. You’re probably thinking “well, what’s in her recipe?” It’s not as complicated as you’d expect; it’s a mixture of sorghum, rice, millet and arrowroot. Sadie uses a wild yeast starter as the leavening agent, which reacts with gluten-free flours the same way as it does with wheat and gives the bread that addictingly tangy sourdough taste. She lets the sourdough culture ferment for over 12 hours. “These loaves are true sourdough—not only do they taste more complex, but they also offer the healthy benefits of fermentation,” she says. And what about the boy? As Sadie’s business picked up, he built her a cargo bike to make deliveries easier and they’re living happily ever after. 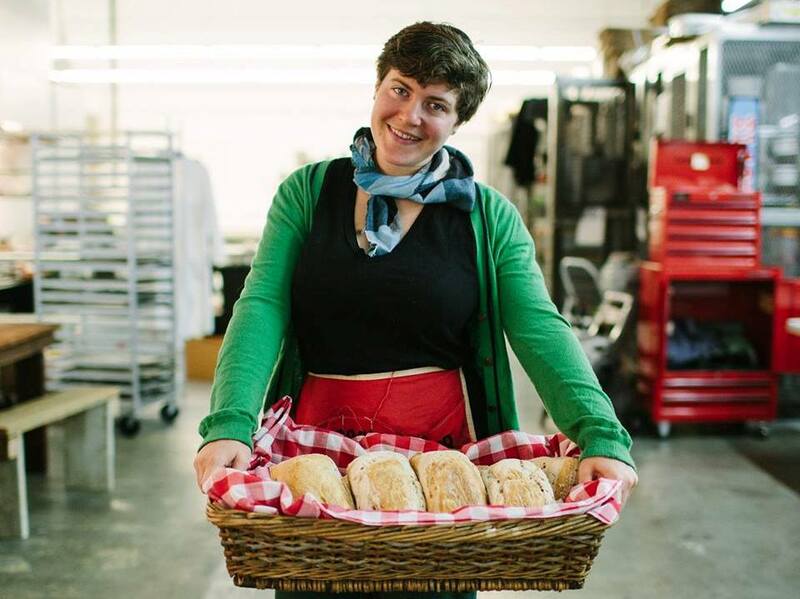 Thank you Sadie for giving us gluten-free foodies the perfect sourdough to go with our wine and cheese! You can find her breads in the refrigerator section of any Mollie Stone’s Market. And if you’re looking for a xanthum gum-free/rice-free option, you must try her sandwich rolls. Enjoy!